"Professional dental treatments in the tourist paradise of Hungary"
From this your mouth will be wide open. Relax on the Lake Balaton between two dental treatment! Not last for a vacationing! Dental implants are among our most popular services, which are also the most modern way to replace the absence of teeth. If you a missing tooth makes you feel embarrassed or you cannot chew properly or have voice problems, then let us make you forget about all the problems an incomplete set of teeth can cause. In some cases, it is only possible to replace the missing teeth with a removable dental prosthesis. The removable prosthesis can be complete or partial depending on the given situation. Our aim is to do our best and prepare the most comfortable replacements for our patients, which are both functional and aesthetic. It is necessary to prepare a crown if there has been significant damage to the material of the tooth and therefore it is not possible to reconstruct the tooth with fillings or inlays. We can offer a durable, stable and comfortable solution with the help of the crown and its completion can be performed within a few days. It is a treatment eliminate pain and to save the tooth. With its help the removal of a tooth can be avoided. Root treatments can be accomplished without pain as well. Due to our modern technical appliances, our patients do not feel any pain during the time of root treatments. We make efforts to save every tooth. Zirconium crown is a solution for those suffering from metal allergy. In our surgery, the problems caused by metal allergy are avoided in one hundred percent by using zirconium crowns. The material very similar to real teeth will make the smile of our patients look entirely genuine. As time goes by, the colour of our teeth may change: food, drinks, coffee consumed regulary, tea, red wine can all discolour our teeth and this can only be helped by dental procedures. One of the popular solutions to this problem is tooth whitening, which is performed routinely in our surgery. Our surgery is awaiting You! Our newly built and accessible surgery meets the technical, aesthetic and architectural requirements of our time at a very high level in a unique form. As every professional dental clinic, we have also set up our own and modern dental laboratory. This way, there is no delivery time between the surgery and the laboratory so the time of preparation of dental technological work is greatly shortened. You can watch our video demonstration here. Let us tell You why it is worth choosing us. We guarantee good quality work! Our dentists perform their work with competence and experience focusing on the demands of the patients. Our clinic pays special attention to the level of dental technological work, therefore we have established an own modern dental laboratory. This way, the time of preparation concerning dental work has been reduced to a great extent. In our clinic, highly qualified and experienced dentists and implantologists workto the best of their knowledge. Our dental worke and all the substances built in carry a 100% guarantee. For further information, please contact us. Why not combining a dental treatment with a pleasant holiday? Our clinic can be found in Keszthely, in one of the main tourist destinations of Hungary. 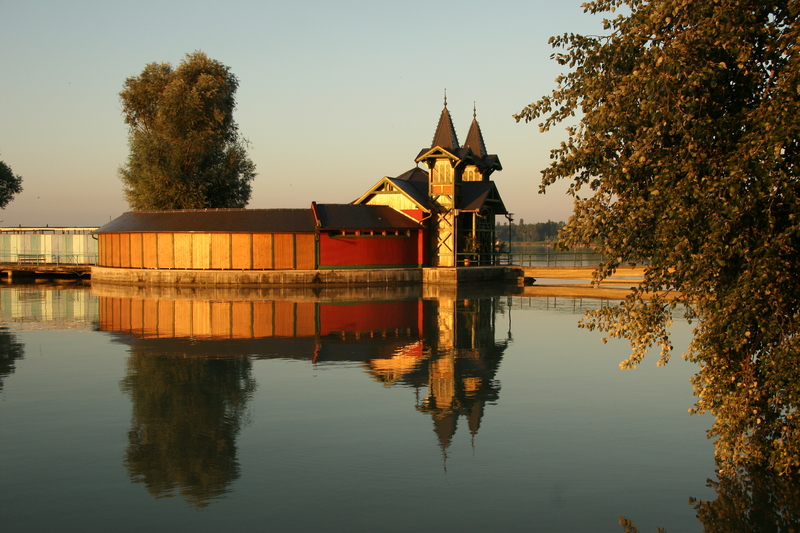 Keszthely is also called the ‘capital of Lake Balaton’. Its popularity lies not only in its favourable geographical location but in its rich cultural offers as well. Come to us and enjoy the possibilities our region can offer between two dental treatments: lidos, museums, sights, hiking, outings and cycling. Sign up for our newsletter in order to receive first hand information about our latest discounts.